Established in 1991, Taupo Language attracts students who prefer to live and study close to nature, or who wish to try some of the 40+ activities found nearby. The town is less expensive than larger cities, but has all the nightclubs, shops and restaurants as it is a popular tourist destination. The region has NZ’s largest ski resort, www.mtruapehu.co.nz, 4 PGA golf courses, rafting & kayaking rivers, 110 km’s of mountain biking trails, NZ’s Ironman triathlon, World Heritage Tongariro National Park, etc As ONLY English is spoken on the streets of Taupo, students have 24/7 English immersion, ensuring their rapid progress. Because the school has small classes (10 max), highly qualified and experienced tutors, the students get more teacher time. We offer 4 levels + regular IELTS courses and FCE Cambridge exam classes. The school offers free wireless connections, tea/coffee and kitchen facilities. The 2 story building has a large garden and is 6 minutes walk from the CBD and lake. Students comment on the family atmosphere at school, where lifelong friendships are made within the 20 different nationalities, making it an easy place to adapt to an English speaking environment. 25 hours of English per week (15 hours of general English in the mornings and 10 hours of conversation English in the afternoons). The fastest way to improve your English. Students enrolled on this school course can change to an exam class at no extra cost, when they reach the correct level. 15 hours English per week (9:00-12:15, Monday to Friday). Suitable for students who wish to pursue their favourite afternoon activities, e.g.shopping, golf, fishing etc. and become fluent in English over a longer period of time. Students select their own afternoon adventure activities on a "pay as you go" basis or have free time. FCE and CAE Cambridge Examinations. The University of Cambridge Certificate examinations are widely known and accepted throughout the world. For further information, a list of exam dates and costs please contact us or see www.englishexams.net. IELTS. IELTS is widely accepted as a prerequisite for the University and Polytechnic entrance examinations in New Zealand, Australia, the United Kingdom and Canada. It is also required for permanent residency in New Zealand. The IELTS examination evaluates the student's reading, writing, listening and speaking skills. 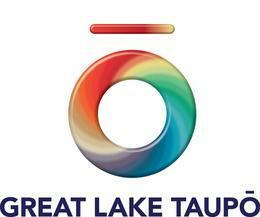 There are two levels, General and Academic, both of which are available at Taupo Language. The exam can be sat most Saturdays, however it is necessary to book at least 2 weeks in advance. Usually IELTS requires a minimum of 12 weeks of exam and technique practice. See more information here. We accept groups in our low seasons (February - May and September - December). We can design an English course for your specific group, size, age, English ability and activity preference. To prepare a quote we need the travel dates, group size, number of accompanying staff and activity preferences. Taupo is a popular destination for groups because of the number of activities close to the school. We accept groups from 5 - 80 students in size.